Atlasin is Exclusive representative of Weinmann in Iran for Homecare Products. 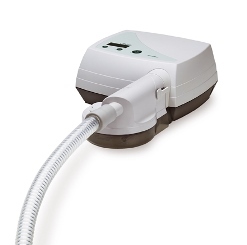 Weinmann Homecare Products cover full range of Sleep Therapy and Ventilators for homecare. In the Homecare field Weinamann develop, produce and market diagnostic and therapeutic system solutions.partner for life – Weinmann promise reliability and the best possible quality. Weinamann pledge is backed by more than 130 years of experience, highly motivated staff members and our close contact with customers and users. Weinmann create innovative, economical and customized products for valid diagnoses and a broad therapy spectrum for the benefit of patient, doctor and cost carrier. Today Weinmann market its products in more than 55 countries via branch offices in St. Petersburg, Paris-Igny, Shanghai, and Neuenhof near Zurich; though representatives in Singapore and Venezuela; and with assistance from our partners in many other key markets. We also offer a large network of regional contacts that provide advice, order processing and technical service. In order to function effectively during the day, an organism has to regenerate by sleeping through the night. There are some diseases, like sleep-related respiratory disorders (sleep apnea), that prevent regeneration. Repeated respiratory arrests lasting at least 10 seconds each rob the affected person of restful and recuperative sleep. The many effects show up in daytime sleepiness, heart problems, high blood pressure and reduced efficiency. Many decades ago, Weinmann became the first German company to develop therapeutic solutions individually tailored to the needs of those patients. 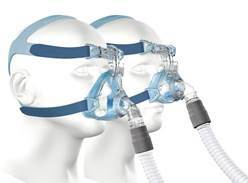 Among the solutions is the nightly administration of positive pressure ventilation during sleep, a treatment that quickly improves the patient‘s condition. By means of a therapy device and mask, the patient receives continuous positive pressure throughout the night. 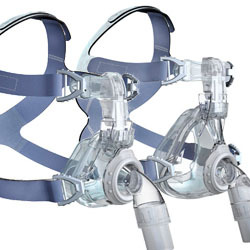 By providing a “splint”, CPAP (Continuous Positive Airway Pressure) makes sure that the patient‘s airways cannot collapse. There are other forms of therapy in addition to classic CPAP therapy. 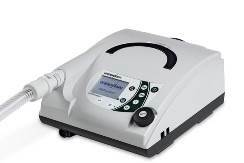 AutoCPAP gently adapts to the patient‘s own breathing and automatically adjusts the pressure according to the patient‘s needs within the therapy range previously prescribed by the doctor. BiLevel therapy, on the other hand, is suitable for patients who have high pressure requirements. 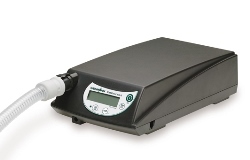 It offers two different levels, increasing pressure during inhalation and decreasing pressure during exhalation. Patients appreciate the reduced pressure which allows them to exhale more easily and to improve their compliance as a result. 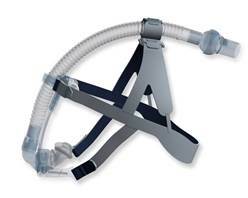 CS therapy is suitable for treatment of heart failure patients with Cheyne-Stokes respiration or with central, mixed or complex sleep apnea syndrome. 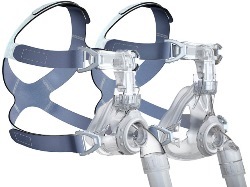 It works to normalize the patient’s breathing and to eliminate obstructions at the same time, all of which effectively improves the patient’s sleep. Our Goal Is Clear: Significant Improvement in Quality of Life Successful ventilation sees to it that respiratory muscles recover and that the patient becomes more physically active. As a result of greater mobility, the patient improves quality of life and life expectancy. Among the most frequently occurring illnesses which permanently overtax respiratory muscles are chronic obstructive lung and respiratory tract disorders, nerve and muscle disorders, scoliosis and chest (thoracic) wall disorders. Ventilation unloads the respiratory musculature with the help of ventilators and nasal or full face masks (non-invasive). 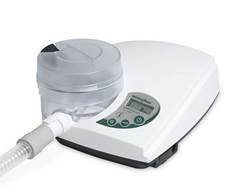 After a phase of acclimation to the device and accessories, the patient can receive ventilation at home without a doctor‘s full-time supervision. Weinmann develops customized technologies for ventilation which automatically adjust to the current situation to give the patient maximum support and at the same time relieve doctors and nursing staff. Central Element in Successful Therapy Masks are the most problematic part of therapy. After all, they touch and cover a large part of the patient‘s face, one of the most sensitive areas of the body, for several hours during the day or night. If the mask doesn‘t fit well, it may cause pressure points on the face or it may leak. Those problems could prompt the patient to reject the mask and thus jeopardize the success of his therapy. Despite these concerns, masks were until recently just a side issue in the area of ventilation. Increasingly, however, they have been moving toward the center of attention as many patients have evidently realized that the success of therapy depends in large part on the mask. The mask is the interface between man and machine and the way to get the air from the therapy device via a hose into the patient‘s airways. 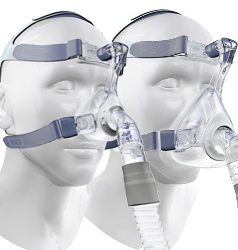 The requirements for ventilation masks – most of which are nasal or full-face masks – are enormously high. For one thing, they should be comfortable and skin-friendly. At the same time they should sit snugly on all different face types so that they can‘t slip out of place during the night and cause leaks. But they shouldn‘t be too tight or else they‘ll leave painful pressure points behind. Beyond that, the masks have to be able to withstand high therapy pressures and provide a way for patients to exhale without too much effort. They also have to be quiet and easy to use.